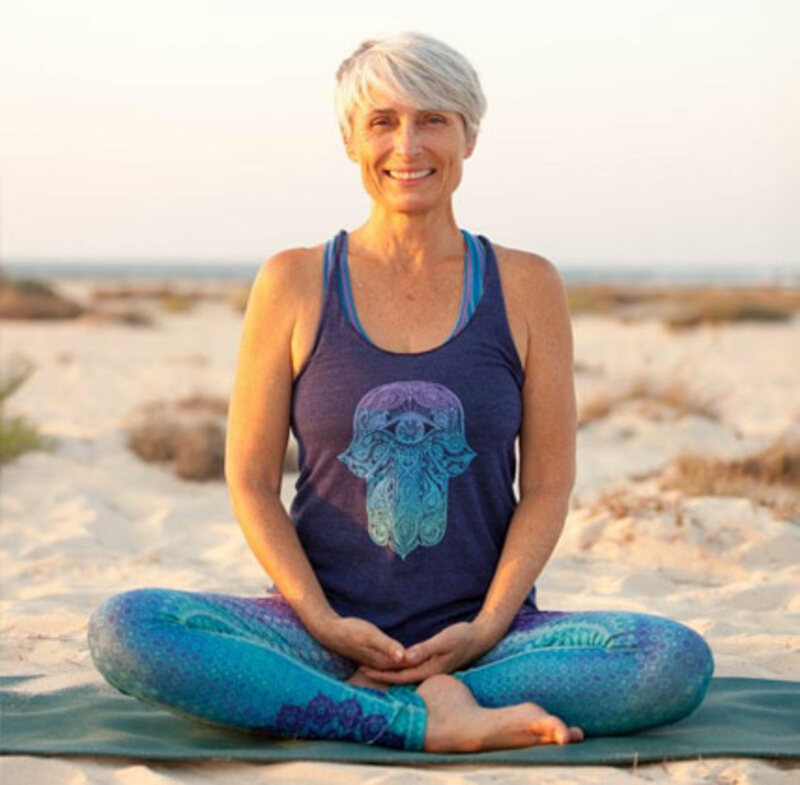 At 6am the morning after Yogafest finished, I left Dubai for a 3 country work trip which left me little time to wallow in the warm afterglow of the event. I was pretty exhausted too. Yogafest surpassed my wildest dreams with the number of participants increasing from 1000 to 2500! What really impressed me was the popularity of the meditation tent which attracted almost as many participants as the yoga shala. The vibe was amazing and though I tried to join some of the classes there was just too much going on to really be ‘present’. Raising AED 13,000 for Gulf4Good made me incredibly happy and reinforced my wish to keep the festival free and allow participants to donate what they feel it is worth. To make it even better next year, please take 5 minutes to complete the post event survey here and tell me what you would like to see next year. The photos are now loaded on the site and the albums are on our facebook page. As you know, I try to attend a local yoga class wherever I go and this time I found myself in Istanbul, Turkey. I stayed as always, at the beautiful W hotel. Check out my trip advisor referral here for more details. My google search did not bring up much and most yoga sites I found were in Turkish only. 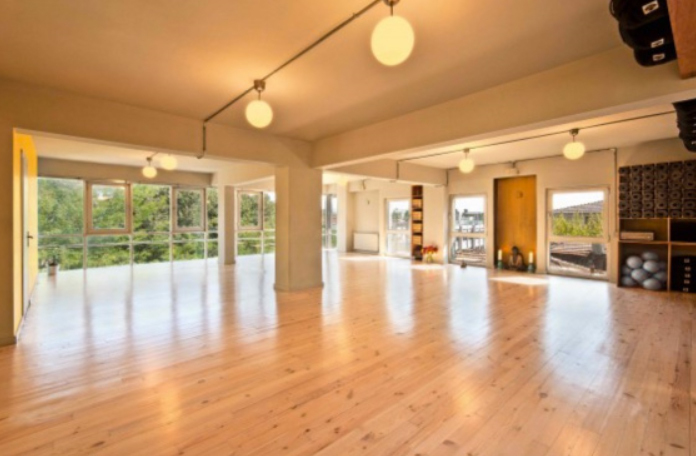 My colleague Bilge, told me the best place according to her friends was Cihangir Yoga located just off Meclisi Mebusan street in Taksim and kindly booked me a place for the 10am Power yoga class on the Saturday morning before I was due to fly out. The hotel concierge gave the taxi driver the location details and off we sped up the hill on a crisp spring morning. Fortunately I had given myself 30 minutes for what was supposed to be a 10 minute taxi ride. It took 29 minutes and several people to assist him till we arrived just in time. I scampered up the narrow staircase to the 4th floor (there is a lift but that would have taken longer) and arrived in a small entrance way where you are asked to leave your shoes before entering. 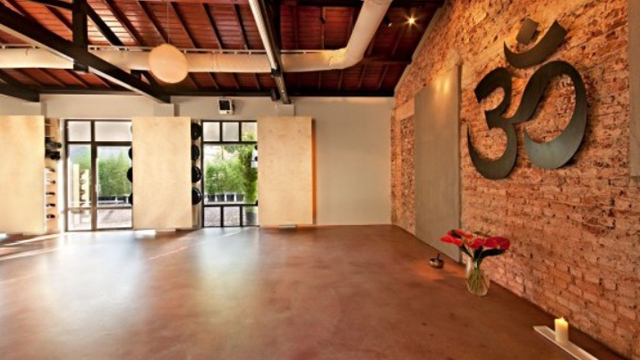 Cihangir Yoga is one of the oldest and most established studios in Istanbul. It is spacious and decorated in vibrant orange with full length windows looking out to the sea and minarets of the mosques nearby. There are 3 yoga rooms, showers and one massage room. Classes cost 30 lira or $16 (Aed 60) as a walk in, there are packages that are cheaper so it’s excellent value for money. You feel how much the place is cared for and the teaching is excellent. The receptionist had no change and told me to pay after the class. My instructor, Stephanie Sayegh, was French but taught the class in English. She explained the focus would be our hips and that they embody our centre for creativity. She encouraged us to consider some area of our life where we wanted to sprinkle some creativity and I thought of my classes. We were 12 ladies and one man who was next to me, very sinewy with longish wavy hair and wearing only a pair of shorts. He turned out to be the most flexible person in the class. It was a safe, strong and well rounded 90 minute class with no music, just the sound of our ujayi breath to keep us company. I learned some great new poses which, those of you who attended my class the next morning, will remember for the IT bands. We chatted after the class and she told me she created the Mind Body Fesitval last year which sounds very similar to Yogafest. This year the event takes place 7-9 June. If anyone is interested in attending, I would love to get a group of us together to attend. When I went to reception, no one was there and as I had no change, I couldn’t pay. I will definitely return on my next trip. 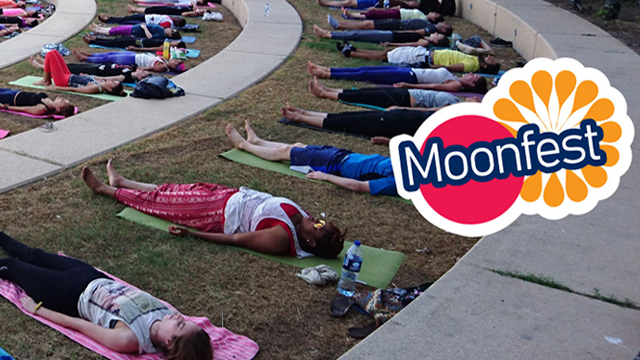 Yogafest.me has now changed to focus on the upcoming series of Full Moon Friday events, the first of which is 29 March from 3.30 to 7.30pm. Click here to book your place in one of three classes. Barry and Shibashi are back by popular demand and Mona will be offering a meditation session all under the full moon with candles and music. I am off to Cairo tomorrow for a week and look forward to sharing my adventures finding a yoga class in my next blog. I will be back to teach on Sunday, 24 March. The mornings are getting lighter and the class numbers are slowly increasing as my old regulars return. Sunday nights you can find me at the Lakes teaching Body Balance at 7.30pm under the palm trees at Fitness First, The Lakes. I leave you with this quote which I often find a struggle but strive to live by as much as possible.